Owning your own home can be a great accomplishment, whether it’s your first home or an upgrade. There are many aspects of purchasing your new home that you need to be aware of, and one of them is the necessity for title insurance, which your agent will mention to you sometime during the process. Hearing about purchasing additional types of insurance is probably not something that you want to hear at this point, but it is very important. Problems can occur at any time that could question the ownership of your home, possibly resulting in the loss of your investment. Former liens, taxes or similar situations could jeopardize your new home. Title insurance is assurance for you (and your lender) that whatever may have happened in the past regarding your home will not affect you. Title insurance is the insurance policy that is issued by a title company licensed in the state of Nevada which is designed to protect the buyer of real estate against loss when the title to the property is flawed. A special title insurance policy, referred to as an ATLA policy, protects the buyer if, after the close of escrow, mechanic’s liens are recorded against the property for work done or material supplied to the property at the time the seller owned it. 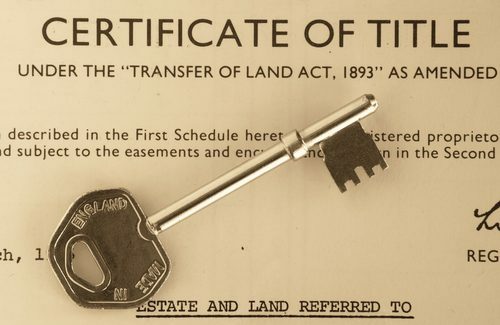 Title insurance covers you in case of an error or omission in the deed, any undisclosed heirs, forgery, or fraud. If someone should file a claim with the court, then the title company will testify in your defense and present evidence to the court that the claims against your property are no longer valid. Title insurance also protects the lender for the entire length of the mortgage. Who pays for title insurance? Your lender will require that you, the buyer, have one title insurance policy to provide financial protection for them. You may, in your offer to purchase ask that the seller pay this fee. In Nevada, this is acceptable and common. A separate title insurance policy would be necessary if you wanted to cover yourself financially should an unknown claim or defect occur in the future. If you chose to purchase an optional Nevada title insurance policy for yourself, then the seller would likely cover the cost. You would be covered for the entire time you own the home. Shop Las Vegas Real Estate any time. Call us at 702-604-7739 to speak with a real estate agent about your needs. If you need a lender to help determine your purchase power, Lori Ballen team can help there too. How does title insurance differ from homeowners insurance? There is a big difference between these two types of insurances. Homeowners insurance protects you in regards to any future issues with your house. Title insurance is the total opposite. Although it will cover you and the lender for as long as you have the mortgage, this type of insurance will provide coverage for unforeseen occurrences that happened before you purchased the property. No future transactions will be covered. When is title insurance paid? Title insurance is paid in one lump sum, at the time of escrow. After payment, a search will be conducted, usually by an attorney, to verify that there are no errors regarding the property that you will be purchasing. This process also helps to confirm that the seller is the true owner of the property that he or she intends to sell to you. Obviously title insurance is good to have, as you can never predict when an unexpected claim might be filed against your home. Not only could you lose your home if a claim is made against the property and you don’t have title insurance to cover yourself, but you could also lose your down payment as well. Of course title insurance will be required by your mortgage company before you can close on the home. Your lender or real estate agent will likely suggest a specific company in which to purchase the policy from, but as long as you purchase the policy to cover your lender prior to closing, then you can choose the company of your choice. In fact, it might be best to choose your own company, because you will then have the option to research your options ahead of time. Check out these great Las Vegas Properties that were Just listed in the Homes For Sale Database. Call 702.604.7739 to Buy or Sell Real Estate in Las Vegas, Henderson, North Las Vegas, or Reno, Nevada. We also have real estate parters around the globe! Let us know what you need and where, and we can make the connection.